When partaking in an internet search for “roofing contractors near me,” do you know the questions to ask when you find one? We certainly hope your search leads you to us, Roofing Service Pro’s, when you need the best roofing contractors in and around Lowell, MA, so when you do, we advise due diligence. Make sure to start your search with a list of criteria any roofing contractors near me company should meet if they’re worth their salt. 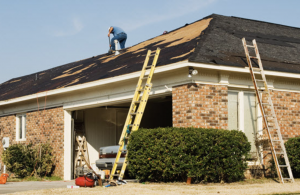 At Roofing Service Pro’s, our team of dedicated, trustworthy, and highly skilled professionals is trained and certified with the equipment and tools need for a successful job. In addition, all of our contractors are licensed, insured, and bonded, so you know that any craftsman you see on the job site is doing the best job for you. One question we encourage you to ask of the “roofing contractors near me” you search for the work on your Lowell, MA area home is, are they certified, insured, and are do they get a Better Business Bureau seal of approval? At Roofing Service Pro’s, we do. Also, find out how long they’ve been in business, and ask to see pictures of their previous work and ask for the names and contact info of former customers so as to verify the quality of their work. Ask about the roofing process, from start to finish. How long does it take? Do you remove the old roof, repair what needs to be fixed what’s underneath the old roof, and what do you do with the old roof? Also ask about the warranty, as well as whether they guarantee their work. One final question we’d like you to ask us here at Roofing Service Pro’s: “When can you start?” We have the confidence in our ability to do an excellent job on your Lowell, MA area home. So call us at (978) 577-5300, and one of our knowledgeable and friendly associates will answer any of these questions and offer you a no-hassle, free estimate.